Where has the time gone? Can't believe tonight is Jeter's last game at Yankee Stadium. Thanks for a great 20 years, Cappy. I don't want to blame Puff, but I'm going to anyway. He is definitely the culprit for my lack of following sports these days. I used to follow pro baseball, football, and basketball almost religiously. I haven't watched an actual MLB game in years. But that doesn't mean that I am not still a fan at heart. I've been a Yankees fan since 1996. I fully admit to becoming a fan because a of a cute guy named Pete in my freshman Spanish class. He was a die-hard fan. I wanted an excuse to talk to him. Then I saw Derek Jeter and I was sold. They were going to be my baseball team. Forever, til the day I die. And they have been my team for the last 18 years - never wavering. I am NOT, under any circumstance, a fair weather fan. I get that a lot of people don't like the Yankees. (Just like they don't like my beloved Dallas Cowboys.) But I like to think that true sports fans can respect another true fan. Our teams don't have to match up - but our sports values do. So go ahead and like your Packers and your Patriots and your Clemson Tigers. I will judge you for your choices in life, but I will simultaneously respect you for your dedication. So while I won't be able to spend $9000 for a seat behind the dugout on the first base line (because, yes, that's what they are going for on StubHub according to an article I read yesterday) to see Jeter play tonight, I am rooting for him from home. I hate that I was never able to actually see him play in Yankee Stadium. But I have seen him play 3 times, and I suppose that's better than nothing. So, thanks for the memories, Cappy. I seriously can't believe it's been 20 years. 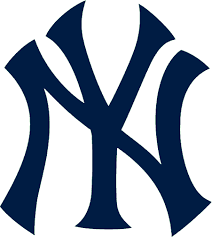 I promise to still be a Yankees fan... but it will never be the same again. I don't think it hit me until late yesterday just how much I really am going to miss Derek Jeter playing the game. I'm the girl who makes fun of people who mourn the death of celebrities whom they never really talked about, yet I was getting teary-eyed watching a Billy Crystal tribute to Jeter on Sportscenter while I was at the gym! There have been two athletes I have admired for as long as I can remember: Troy Aikman and Derek Jeter. Both high class guys, good teammates, who aren't in the spotlight for the wrong reasons. In my nostalgia and frenzy to watch every bit of video and read every article I could about Jeter yesterday, I stumbled across this ad that I had seen before, but never really watched. Yesterday, I watched it. And it gave me chills. Since last night's game wasn't on here, I taped Sportscenter to catch the highlights. I think I'm going to need to wait until tonight to watch it. And to read any articles about it. I think it's going to hit me harder than I ever thought possible. I know he has a few more games to play, but last night was it.